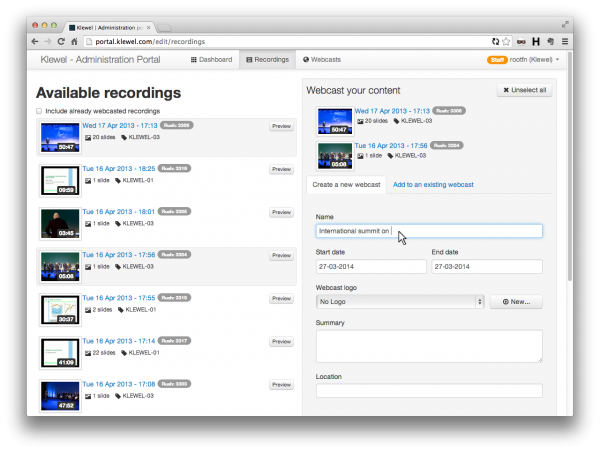 Klewel 2.0 | Webcast available in a few clicks with Triskel Capture Station! That’s it. You are done. Since the system is non-destructive, you can always go back, select different recordings and publish it again as the same or as a different webcast. As many times, as you would like. The time-saving side of the system is a very welcome effect next to all the user-friendly editing and innovative solution that Klewel is presenting with Triskel.